See January 5, 2015 for a description of the wiring and connectors. Today I installed the charging wiring in the engine compartment. One end is permanently in the plane. The negative wire is connected to the ground block, which goes directly to the battery (-) terminal. 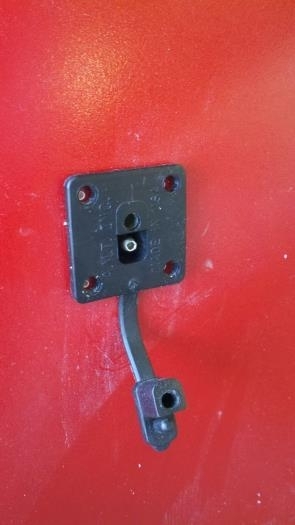 The positive wire is on the master switch contactor post (on the battery-side of the contactor), co-located with the positive wire that connects the (+) battery post to the master contactor. The other end goes to one of the male/female connectors shown in the January 5 post. Then there is another wire set that has a male/female connector at both ends. One connects to the wire connector described above. 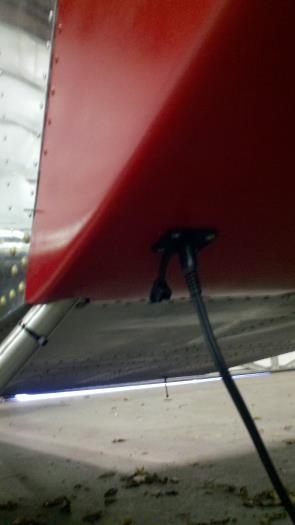 The other connector is permanently mounted through the bottom of the cowl. 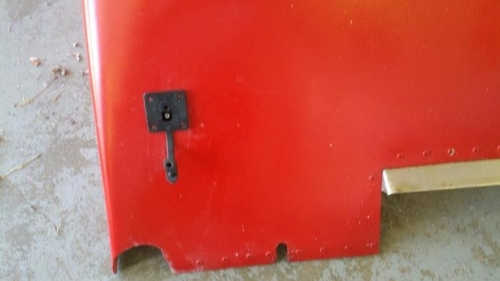 So when I take off the cowl I just pull the connector between the two wiring sets described. When I put the cowl back on I just connect the connectors together. Now I can plug in my charger (which has the same male-female connectors) without removing the cowl! The whole thing only weighs a few onces. See the next page for more pictures. Charging port before screws installed. Battery charger plugged into port.